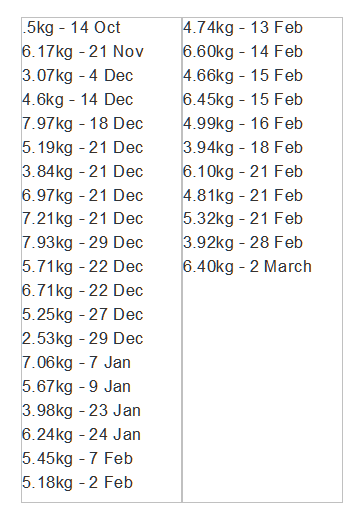 Rakaia Hut Owners Comp 2014/2015 salmon weights. 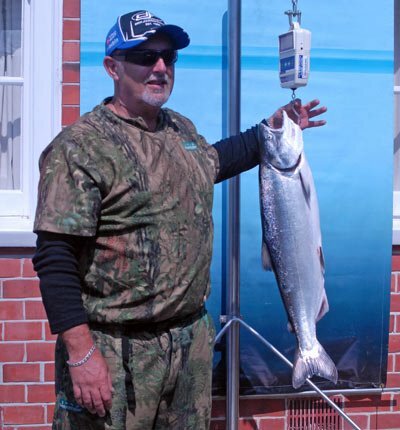 Salmon caught during the recent Rakaia River Salmon Fishing Contest. It weighed about 4kg. 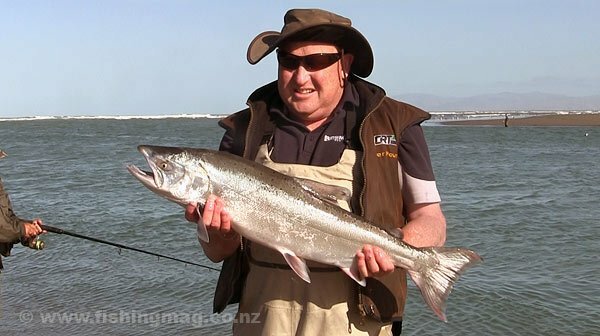 Again typical of the salmon this season.